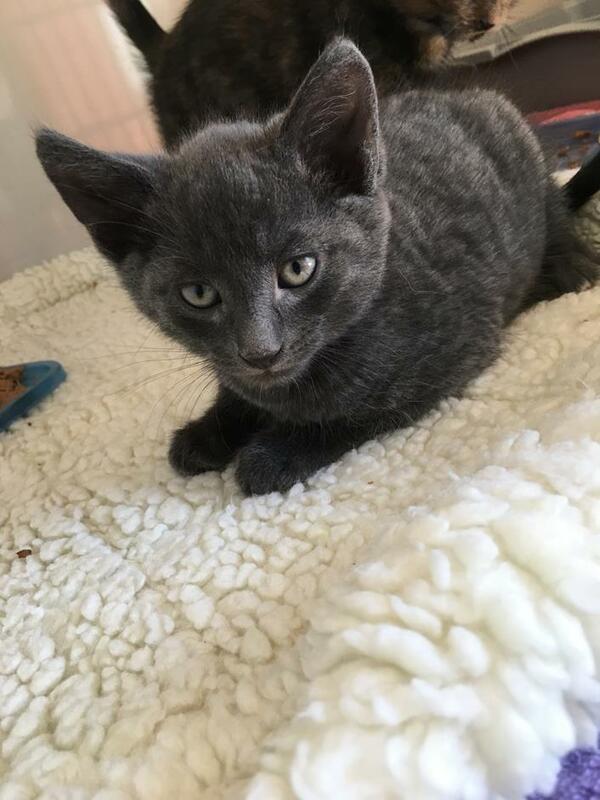 Bob is an 8-week-old male, grey tabby domestic shorthair. Its easy to tell that Bob is the only boy in the group despite being a twin to his sister Daisy. 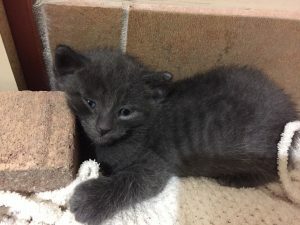 He has a “boys will be boy attitude” and is often busy fighting, climbing, and finding cool places. He is often on the move and loves a good wrestling match. 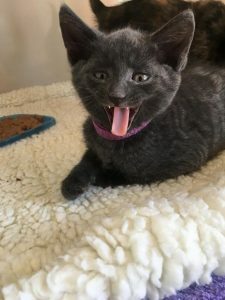 If you are interested in meeting Marigold II, please call the clinic to book and time. Applications can be filled out in-clinic and can also be submitted online.